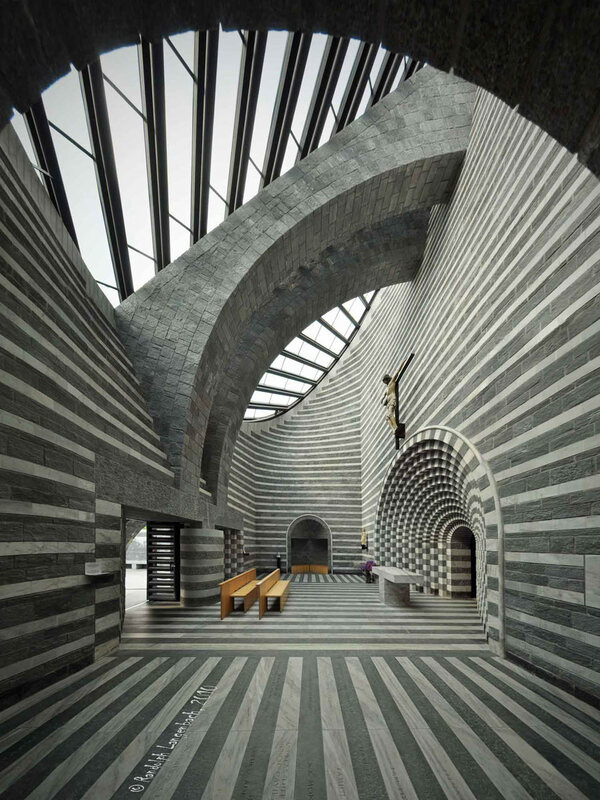 Far from what I remember as a child, when I was growing up and singing in church, these magnificent structures are some of the most modern churches we have today. Nothing like the old buildings and sago roof churches I’m used to. I do love the old churches, but more and more, modern churches, chapels, mosques, cathedrals, and temples are popping up to keep up with this modern times. I guess we could say, it can be cool to have devotion in style or devotion can be made cool as I add these churches to my Cool Stuff list. In our own beliefs, worship and devotion goes further and beyond fancy architectural structures, but each of these churches are a very beautiful work of art. Personally, I think it would be wonderful to have a peaceful moment in one of them. What do you think? 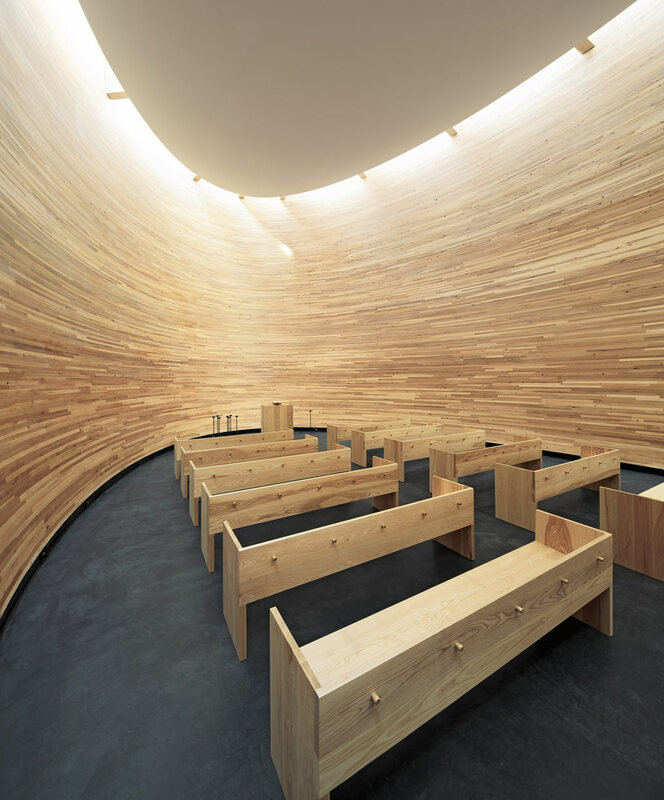 Visit more churches and details at Design Milk. The first one is similar to the Banq Restaurant that used to be in Boston Massacheusetts, USA. I like the organic-ness (is that a word? It is now.) of the design, as if you are inside one of the trees that was used to build the space Brilliant pictures! Most definitely. I really like the light and how open the space seems (for me anyway) in the first picture. The second picture is where I’d probably chill and say a prayer, have a chat with Anutu. This space seems like you’d be able to hear your thoughts. Thank you for sharing 🙂 Wishing you the best week. Lovely! Thank you so much for visiting and sharing your thoughts. Enjoy your week too. Dange. They are beautiful. But as I imagine myself in the actual space, I find both of them dizzying, almost a bit frenetic. Maybe even – over stimulating? Thank you so much for dropping by – did you see the other churches in that link? There were ten of them. These are stunning photos. thanks for sharing. You are very welcome as always Joel. Thanks for your comments. I’m glad you like these.